The Clock is a 24-hour video work that unfolds in real time. Made up of more than 10,000 film clips that contain clocks and watches, this mega-montage spools through a full day and night in perfectly synchronized time. 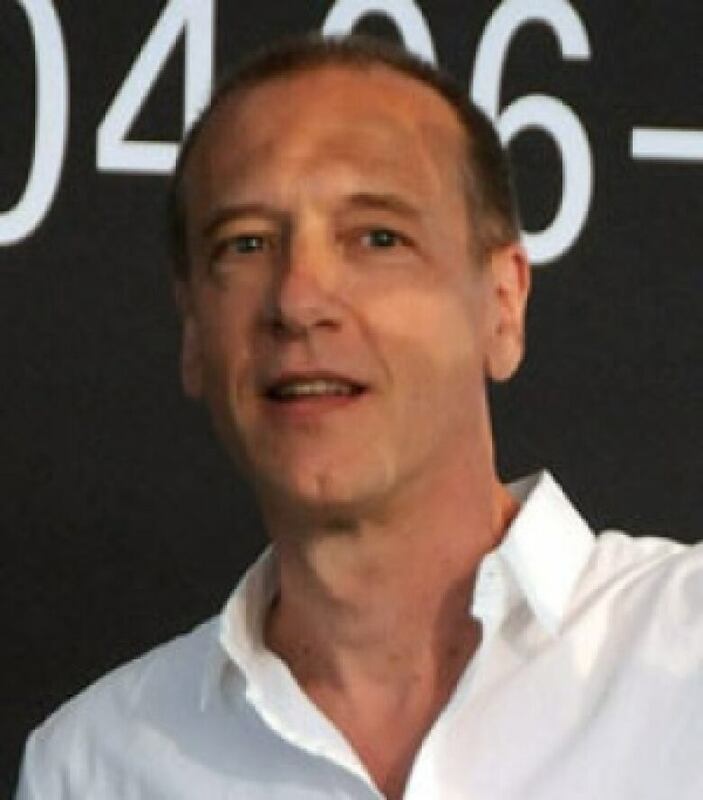 Christian Marclay created art-world sensation The Clock. 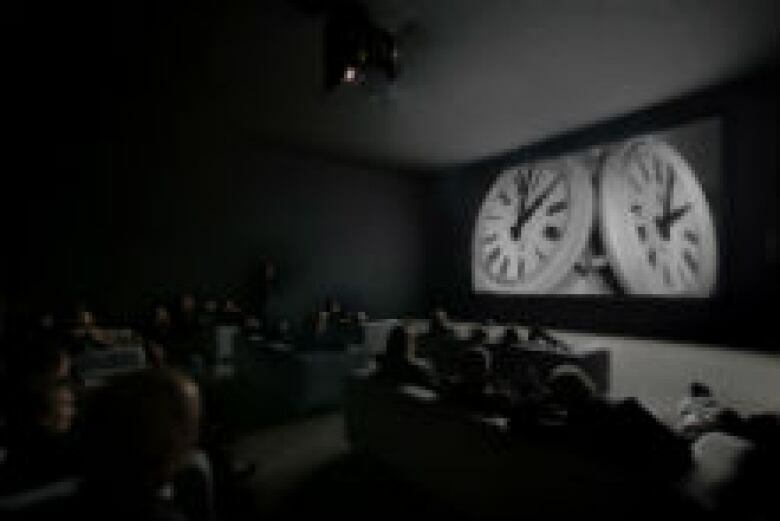 (Associated Press)Created by Swiss-American sound and video artist Christian Marclay, The Clock is a 24-hour video work that unfolds in real time. Made up of more than 10,000 film clips that contain clocks and watches, this mega-montage spools through a full day and night in perfectly synchronized time. If a clock on screen says 3:26 p.m., your watch will say 3:26 p.m. This sounds like a very simple premise, but nothing can prepare you for how it expands into an astonishing, immersive and complex experience. Shown in cities like Venice, New York, Los Angeles, Berlin and London, The Clock has been both a critical favourite—proclaimed “a masterpiece for our time” and “maybe the greatest film you have ever seen”—and a crowd-pleasing hit. A three-year project that involved a team of assistants watching, researching and collating clips, The Clock covers a century of cinematic history. Sequences range eclectically from Ingmar Bergman’s Scenes from a Marriage to Die Hard With a Vengeance, from a German silent classic to A Nightmare on Elm Street. There is no conventional story, but there is an urgent sense of forward movement, created through Marclay’s endlessly fluid and elegant video and audio editing. Sometimes he weaves in fascinating cross-connections, parallels and echoes; at other moments, he uses abrupt, even comic shifts. And while a parade of tantalizing film tidbits could seem endlessly frustrating—who is that beautiful woman waiting for? why is that man carrying a gun? who (or what) is behind that door?—it’s also strangely and supremely satisfying, as one minute rolls seamlessly into the next. Even as you’re denied the resolution to one specific story, you’re realizing that all of cinema really comes down to a few big stories. Using waves of connected images, The Clock explores uber-narratives like love and longing, work and war. But The Clock is also about time. Film characters are often checking their watches, whether that’s because they’re waiting for a lover, planning a bank heist or late for an important meeting. This sense of constant clock watching reflects our own period, that feeling of go-go-go busyness being the 21st-century North American condition. We are chronically rushed and short of time, but we also want to order time around. When viewing movies and TV, we have shifted to an instantaneous, on-demand, 24/7 viewing model, with individualized technology that lets us watch anything anywhere and anytime. 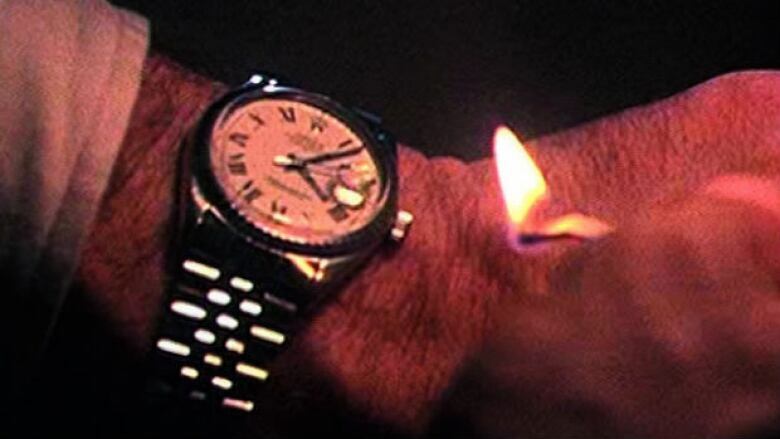 Christian Marclay, The Clock, 2010. Single channel video. Duration 24 hours. Purchased 2011 with the generous support of Jay Smith and Laura Rapp, and Carol and Morton Rapp, Toronto. Jointly owned by the National Gallery of Canada and the Museum of Fine Art, Boston. © the artist. Photo: Ben Westoby. Courtesy White Cube. (Winnipeg Art Gallery)The Clock is having none of that. It absolutely demands duration. There is no fast-forwarding or skipping around or cheating or shortcuts or downloading it and watching it on your phone. Marclay is extremely strict about the conditions under which The Clock can be viewed. The WAG has set up a separate room, blanketed in dark and quiet and filled with comfy IKEA couches. The video runs only in strictly synchronized time, and to allow viewers to catch the night sequences, the WAG will be running three 24-hour marathons. To really experience The Clock, you have to give yourself over to time. And time will more than give back. The Clock is like the fabulous love child of an artistic masterwork and a blockbuster movie. Go see it. See The Clock at the Winnipeg Art Gallery until January 5, 2014.